There’s more to constructing commercial sheds than meets the eye. Having a shed is one thing, but making sure it’s safe is a whole new ordeal. Real Aussie builders make sure that that’s never an issue. They provide their clients with specific information on their quotes relating to safety concerns. One such detail is wind speed. For instance, the region you build your custom designed sheds in will have different weather conditions. So specifications will differ based on that. This makes classifying wind region important in the building process. Strong winds and gales are the most common cause of damage and disruption. Keeping your shed and home secure is vital. So you need to make sure you’ve already prepared for disasters before it hits your garden. 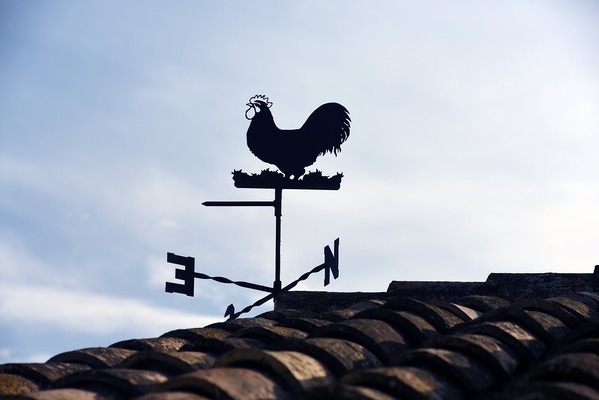 Our builders here at Real Aussie Sheds determine the importance level of wind speed. This is based on what your shed will be used for and ensures commercial sheds follow the Building Code of Australia. Meanwhile, terrain category refers to what surrounds the proposed building site of the shed. Topography then accounts for whether the shed is on a hill, slope or flat surface. Whether your custom designed shed has structures around it, shielding it from wind, is also an important factor. Real Aussie builders will also let you know what your site wind speed is, measure in meters per second. This is a vital factor to be aware of, as lower site wind speeds need less steel and thus have lower costs. Building with specific site requirements in mind is a vital part of constructing quality commercial sheds. And it’s something the designers and builders at Real Aussie focus on through every step of the construction process. If you’re planning on building custom designed sheds, you owe it to yourself to work with builders who make safety a priority. Garden tools and equipment may get damaged and can be dangerous if picked up by a gale. Ensure that you put away all your belongings away and safely secure them in your shed. Making sure your shed is in a strong condition and you have kept on top of repair work is essential for preparing against strong winds. If your roof is suffering from any of the above, you should contact a roofing specialist. Make sure to contact them as early as possible. If left for too long they may lead to even bigger problems. Make sure to be safe when checking the roof from outside. Ensure that you secure your ladder and that it’s fit for the intended purpose. You may observe through binoculars or by walking around the house if you are uncomfortable climbing to the roof. Take notes of any damage through your inspection. With the shed itself, make sure it is in good condition to hold up against harsh weather conditions. After making sure the roofing felt is secure, you should replace any split or worn wood around the shed. This is very important for keeping your garden tools and equipment safe from moisture outside. Don’t forget to make sure your shed base has a solid foundation. You must inspect your shed’s doors and windows from the inside first, as cold air may be entering through either. Make sure to seal them both inside and out. To draft proof your shed you can install foam weather stripping insulating tape. This will prevent any drafts and will keep moisture outside the shed. Following these simple steps, helps ensure you have a more secure and protected shed for the inevitable strong winds in Australia. It is better to be prepared than have to face severe repair work after the storm has destroyed your garden shed. Take some time to follow these precautions so you don’t have to worry!